Is the procedure of taking your dog out becoming more of a burden than an enjoyment? Are you finding that you dread taking a dog outside but it’s not the outside part that bothers you? Many people contact me in Poughkeepsie, NY and they state that they have issues such as leash reaction, fear aggression, aggression, etc. but will probably never address that first comes having a battle with the dog while trying to put their collar on them. 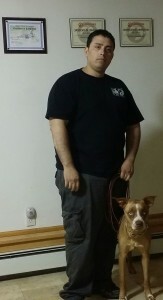 So you have to take your dog out to go to the bathroom or you want to go on a trip with them or maybe even hike with them. You call your dog with the collar in your hands and he doesn’t come to you or he does come to you. But when he can see it, he’s jumping he’s moving not staying still, sort of like trying to catch a jumping bean, making yourself tired before you even go outside. You try to wrestle with your dog and then after going through all of that fight you are still struggling outside. Your dog jumps, pulls, and barks at other dogs. You are asking yourself why this is happening, what can you do to stop this behavior. Essentially you are losing the battle before the war starts. Everyone wants the perfect dog but a lot of times they miss the small pieces. By small pieces I mean calling your dog and having them come to you, then putting a collar on your dog while they are calm. If you start out on the right path you will continue on the same path. If you start out bad then things will only get worse and worse. So if you can’t put a collar on your dog, there is no way you going to build to have control over your dog outside. Have you ever drove with a friend and they drive in such a way that it makes you car sick? Afterward, you don’t want to do that again, well dogs are the same way. If you make something a bad experience, then that’s what it will always be for them. But if you make something fun and enjoyable things will be a lot easier. The following three steps will help to make a good experience before you even walk out of the door. Call your dog to you – One of the biggest mistakes is owners will go to the dog to put the collar on. Step one: call your dog and have them come to you. Reward before – Put each end of the collar in your hands and when your dog is next to you, reward your dog by rubbing them with both hands, make sure your dog is calm and staying still for you. 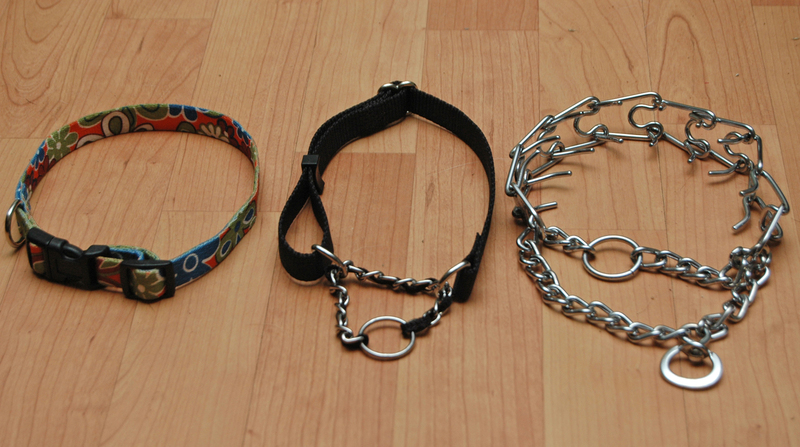 Reward after – Clip whichever collar you decide to use (flat collar, E-collar, prong collar, fur saver, etc.) and then repeat step two: with both hands reward your dog by rubbing them. Now you will be ready to go outside and have some fun. The following two steps will help to make a good experience after you come back home from your outdoor activity. Reward before – Before you take the collar off after coming back home. Reward your dog by rubbing them with both hands. Once again make sure they are calm when you give them this reward. Reward after – Unclip whichever collar you had on your dog. Then repeat step one: with both hands reward your dog by rubbing them and still holding on to the collar with both hands. At that time you may release them with whatever command you normally use. After doing this for many weeks and many months that experience they were having before, or should I say the battle you were having before, will cease to exist and pleasure will emerge for both you and your dog. This is what I like to call the magic trick, between the two reward rubbings. You are sliding in putting on/off the collar with tons of goodness, just as a magician does sleight-of-hand.